Lacey, Washington real estate is the perfect community for military home buyers seeking to live within 30 minutes of Fort Lewis or government workers in and around the Washington State Capital (Olympia). 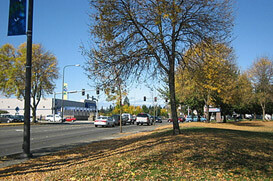 Lacey real estate consists of modern shopping centers, parks and homes for sale. The city is perceived as a slower paced community with its best characteristics being in close proximity to many lakes and forests as well as being close to the beautiful Nisqually Valley. Located just 4 miles from Olympia, Lacey became a bedroom community for Olympia and to some extent Tacoma, 19 miles to the north. Lacey is no longer known as a primary industry for cattle, milk, and forest products. Lacey homes for sale are plentiful and the cost is affordable. There are thousands of Lacey homes for sale from the Thurston County MLS search tools.